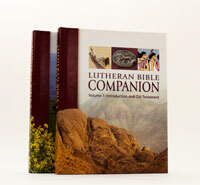 The following is an excerpt from Lutheran Bible Companion, available this Fall. It is not entirely clear how or why Joshua, Judges, Samuel, and Kings came to be called “the Prophets.” The title may have arisen merely from early Jewish traditions of prophetic authorship of these works. This is not impossible, but, at best, does not appear to suffice as an answer. It is certainly more helpful, and perhaps also more accurate, if we understand the title as characterizing the contents of the books as well. Then these works are understood as exhibiting prophetic theology, as the “sermon illustrations” preceding the “sermons” of the prophets themselves. It may even be argued that “Former Prophets” is a much better and more accurate designation than our “Historical Books.” For better or for worse, “history” for modern readers implies certain standards of objectivity, comprehensiveness, chronology, and usually also secular perspective, to which these biblical books do not correspond. When the biblical books diverge from our notion of history, the stage is set for doubts and questions of various sorts. This is not only true of the historical-critical method, which programmatically measures ancient texts unfairly, but comparable difficulties may easily arise also for the more ordinary reader. Accordingly, it must be accented that these histories are unabashedly written to make a point. The writers select and present events as it serves their purposes. The fact that we can scarcely hear such language except in a negative sense only illustrates the problem. Possibly the recent realization that complete objectivity is an impossibility in such matters has softened the difficulty for modern audiences, but probably not a lot. The Hebrew Bible does not include a specific word for history but uses general terms for writing, such as “words,” “scroll,” or “genealogy.” Our ideas of history come from the Greeks. When we stress that the “history” presented here is not the same as the modern type, this should not imply that what is presented is somehow less than true. Rather, the books speak factually as well as theologically, even though many questions we might raise remain unanswered. What the Holy Spirit offers us is not less than history, but infinitely more. The ultimate concern is with inner history of the books. The basic pattern illustrated throughout the Former Prophets is that of reward for obedience or faithfulness, and retribution or punishment for unfaithfulness. That scheme is commonly criticized as, at best, hopelessly simplistic and probably mechanistic and legalistic as well. Some critics condescendingly concede only a certain long-range, pragmatic truth to the principle, and many are motivated by a universalistic aversion to the entire idea of divine retribution. The correct understanding commends itself readily, even humanly speaking, if we remain aware of the theological scope of the material. Instead of judging externally (politically, sociologically, psychologically), the viewpoint is concerned with what is ultimately true. As the Latter Prophets preached tirelessly, the Word of God is always operative in either blessing or cursing, Law or Gospel. What we have is a theology of history. From Lutheran Bible Companion, volume 1, pages 194–95. Text © 2014 Concordia Publishing House. All rights reserved.